AAA Equipment Rentals of Nyack, NY has a comprehensive tool and equipment inventory available for rent, and some for sale as well. Whether you’re a homeowner, contractor, or municipality, we have everything you’ll need to get your project done – big or small. We are the go-to source for rentals in Rockland, Orange and Westchester Counties. We carry everything from as big as earth moving equipment and trailers, down to pressure washers and hand trucks… all name brand and high quality products that are well maintained by our staff of technicians. We’re conveniently located on Rt. 59, just off Exit 11 of 287, approximately 1 mile from the Palisades Mall. 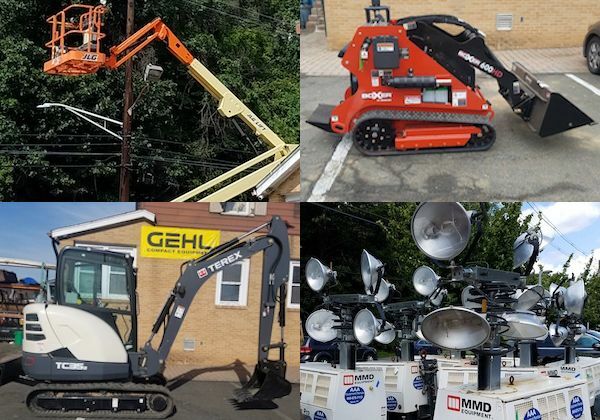 AAA Equipment Rentals is a certified Gehl, Kobleco, Manitou, LS Tractor, and Boxer dealer. We buy used equipment for cash and perform onsite repairs. Come visit our huge inventory of used equipment today!